CONNECTICUT JUDICIAL PROCESS SERVICES, LTD.
"NOW SERVING PROCESS IN THE BEAUTIFUL STATE OF CONNECTICUT, "THE CONSTITUTION STATE" SETTLED IN 1666. "QUI TRANSTULIT SUSTINET"
Allow #1 Connecticut Judicial Services, Ltd. of Chappaqua, New York (20 min from Greenwich and Greenwich Town Court) to provide you or your firm with first rate, private and professional traditional service of process provided to the towns and/or villages of Fairfield County, CT which would be comprised of : Westport, Southport, Trumball, Greenwich, Old Greenwich, Darien, Cranbury, Wilton, Weston, New Canaan, Ridgefield, Brookfield, Sherman, Newtown, Trumball, Norwalk, New Fairfield, Monroe, Southport, Bridgeport, Danbury, Rowayton, Easton and Stamford. Please also note: All other towns not listed on this site in the state of Connecticut may be serviced by our professional pre-screened affiliates partners overseen by our authority. Call us today at 917-597-0994 for an always free and friendly evaluation of your case and a confidential discussion on your matter. IN 1885, HARTFORD COUNTY ORIGINAL COURTHOUSE WASHINGTON STREET BEFORE NEW MODERN BUILDING IN 1929 REPLACED IT. The Territory that we serve leagl process and perform all constable court related activities are as follows: Fairfield borders Bridgeport, Trumball, Westport , Weston along theH Gold Coast of Connecticut. 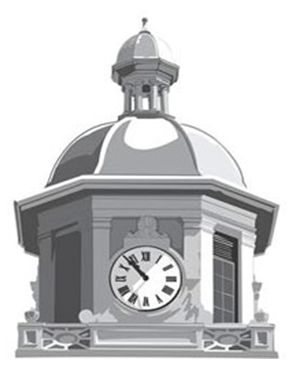 The town government consists of the three member Board of Selectmen, a Representative Town meeting (RTM) a Board of Finance, a Board of Education, a Planning and Zoning Commission (TPZC) and many other politically appointed commissions, boards and committees. The current First Selectman is our friend Mr. Michael Tetreau. We are located 20 minutes from Greenwich, CT.
Darien, Westport, Danbury, Stamford, Weston, Greenwich, Old Greenwich, Trumball, Waterbury, Fairfield, Shelton. The geographical area of the county is served by three separate judicial districts: Danbury, Stamford-Norwalk, and Fairfield. ( We serve legal process in Stamford-Norwalk and Fairfield County respectively). Each judicial district has a superior court located in Danbury, Stamford and Bridgeport. Each judicial district has one or more geographical area courts (*GA's) subdivisions of the judicial districts that handle lesser cases such as criminal misdemeanors, small claims,. traffic violations, and other civil actions. DID YOU EVER WONDER ABOUT THE ORIGIN OF THE UNIQUE CONNECTICUT SEAL? The Motto, 'Qui Transtulit Sustinet', has been an element of a number of versions of the official seal of Connecticut used since colonial times, and before. It was first seen in the colonies in 1639 on a seal brought back from England by Colonel George Fenwick. That seal served as the official seal of the Saybrook Colony. When the land of the Saybrook Colony was purchased by the Connecticut Colony in 1644, the seal was transferred with the title to the land. Today, the seal looks a little bit different than days of yesteryear but the motto lives on. "Qui Transtulit Sustinet" means "He Who Transplanted Still Sustains". Loosley meaning- "God, who transplanted us hither, will support us". "The vines (on the state seal) symbolize the Colony brought over and planted here in the wilderness. We read the 80th Psalm: 'Thou has brought a vine out of Egypt: Thou has cast out the heathen, and planted it": --In latin, 'Vineam de AEgypto transtulisti, Ejicisti gentes et Plantasti eam". ; and the motto expresses our belief that He who brought over the vines continues to take care of it--Qui transtulit sustinet". A PRACTICAL COMPLETE GUIDE TO CONNECTICUT CPLR RULES AND REGULATIONS; FOR YOUR EXAMINATION AND PUBLIC INTEREST. State of Connecticut Rules of Law Governing Service of Process. All process shall be made returnable not later than two months after the date of the process and shall designate the place where court is to be held. (1949 Rev., S. 7768; 1949, S. 3146d; 1967, P.A. 742, S. 1; 1969, P.A. 293, S. 1; P.A. 74-183, S. 80, 291; P.A. 76-436, S. 124, 681; P.A. 82-160, S. 9.) History: 1967 act added alternative of process being returnable on twelfth day following day of service and extended mandatory return date from “next but one” return day to “next but two” in first sentence, extended requirement place where court is to be held be designated where court is in New Haven county to all counties, and deleted provision that time within which pleadings be filed commence to run from first Tuesday of September following return day; 1969 act amended provisions re return of process to allow return in civil actions on any Tuesday rather than on twelfth day following day of service or on first Tuesday in any month and to require return not later than two months after date of process rather than on next return day or “next but two” and to delete provision which prohibited abatement of process in civil action because the term of the court was not stated in the process; P.A. 74-183 made special separate provision for return day in summary process actions, effective December 31, 1974; P.A. 76-436 removed court of common pleas from purview of section reflecting transfer of all trial jurisdiction to superior court, effective July 1, 1978; P.A. 82-160 rephrased section and inserted Subsec. indicators. Appeal from probate is an “action” under this section. 63 C. 413; 76 C. 285. The right to begin a civil action at any time, which has always existed in this state, is not to be destroyed by statutory implication. 73 C. 229. Cited. Id., 562. Return day cannot be changed before service without reissuing writ. 74 C. 38. Meaning of phrase “to which it can be made returnable” as applied to appeal. 83 C. 677. Correction of mistake as to return day of probate appeal before service. 91 C. 110. Not applicable to motion to supreme court for order requiring trial court to make finding. 95 C. 691. Cited. 122 C. 153; 134 C. 605; 154 C. 416. Cited. 165 C. 435, 438. Cited. 165 C. 435, 440. Cited. 178 C. 472, 477. Cited. 227 C. 848, 851, 853. Cited. 229 C. 618, 620. Cited. 232 C. 392, 399. Cited. 233 C. 352, 354. Cited. 4 CA 209, 214. Cited. 27 CA 590, 594. Cited. 31 CA 793, 795; judgment reversed, see 229 C. 618 et seq. Cited. 32 CA 335, 339. Cited. 33 CA 6, 8. Remedy for failure to return secondary process. 15 CS 307. Appeal from probate is a civil action within meaning of this section. 18 CS 480. Amendment allowed where writ for personal injuries served within one year of injury inadvertently designated a return day less than twelve days from date of service. 20 CS 160. To allow motion to amend return day of writ to an earlier date would nullify sections 52-46 and 52-47. 28 CS 489, 492, 493. Cited. 29 CS 519. Subsec. (a): Cited. 40 CS 243. Subsec. (b): Cited. 207 C. 547, 548, 554, 555. Cited. 236 C. 330, 339, 340. Cited. 36 CA 635, 640; judgment reversed, see 236 C. 330 et seq. Service and return day of process in Circuit Court. Appeals from administrative officers, when returnable. Repealed. (1949 Rev., S. 7770; 1959, P.A. 28, S. 38, 106; 1961, P.A. 14; 1963, P.A. 642, S. 86; 1969, P.A. 494; P.A. 74-183, S. 81, 291; P.A. 76-436, S. 125, 681; P.A. 88-317, S. 28, 107; P.A. 89-174, S.7.) Cited. 25 Conn. Sup. 512. Summary process actin will not be abated for failure to file with clerk three days before return day. 2 Conn. Cir. Ct. 109. Where additional parties were cited in as parties defendant, the moving papers served on them did not constitute a new civil action process in which would be subject to provisions of this section. 3 Conn. Cir. Ct. 321. All process shall be directed to a sheriff, his deputy, a constable or other proper officer authorized by statute, or, subject to the provisions of subsection (b) of this section, to an indifferent person. A direction on the process “to any proper officer” shall be sufficient to direct the process to a sheriff, deputy sheriff, constable or other proper officer. Process shall not be directed to an indifferent person unless more defendants than one are named in the process and are described to reside in different counties in the state, or unless, in case of a writ of attachment, the plaintiff or one of the plaintiffs, or his or their agent or attorney, makes oath before the authority signing the writ that the affiant truly believes the plaintiff is in danger of losing his debt or demand unless an indifferent person is deputed for the immediate service of the writ or other process. The authority signing the writ shall certify on the writ that he administered the oath and insert in the writ the name of the person to whom it is directed, but he need not insert the reason for such direction. Any process directed to an indifferent person by reason of such an affidavit shall be abatable on proof that the party making the affidavit did not have reasonable grounds, at the time of making it, for believing the statements in the affidavit to be true. Service of motions for modification, motions for contempt and wage withholdings in any matter involving a beneficiary of care or assistance from the state and in other IV-D child support cases may be made by any investigator employed by the Commissioner of Administrative Services or the Commissioner of Social Services. Service of motions for modification, motions for contempt and wage withholdings in any matter involving child support including, but not limited to, petitions for support authorized under sections 17b-748 and 46b-215, and those matters involving a beneficiary of care or assistance from the state may be made by a support enforcement officer or support services investigator of the Superior Court. Borough bailiffs may, within their respective boroughs, execute all legal process which sheriffs or constables may execute. The service of a writ of summons shall be made by the officer reading it and the complaint accompanying it in the hearing of the defendant or by leaving an attested copy thereof with him or at his usual place of abode. When service is made by leaving an attested copy at the defendant’s usual place of abode, the officer making service shall note in his return the address at which such attested copy was left. Except as otherwise provided, process in any civil action shall be served by leaving a true and attested copy of it, including the declaration or complaint, with the defendant, or at his usual place of abode, in this state. against other municipal or quasi-municipal corporations, upon its clerk or upon its chief presiding officer or managing agent. In actions against a private corporation, service of process shall be made either upon the president, the vice president, an assistant vice president, the secretary, the assistant secretary, the treasurer, the assistant treasurer, the cashier, the assistant cashier, the teller or the assistant teller or its general or managing agent or manager or upon any director resident in this state, or the person in charge of the business of the corporation or upon any person who is at the time of service in charge of the office of the corporation in the town in which its principal office or place of business is located. In actions against a private corporation established under the laws of any other state, any foreign country or the United States, service of process may be made upon any of the aforesaid officers or agents, or upon the agent of the corporation appointed pursuant to section 33-922. In actions against a voluntary association, service of process may be made upon the presiding officer, secretary or treasurer. If all of such officers are not residents of the state and the voluntary association is doing business, acting or carrying out its operations or its functions within the state, the voluntary association shall be deemed to have appointed the Secretary of the State as its attorney and to have agreed that any process in any civil action brought against it may be served upon the secretary of the state and that the process shall have the same validity as if served personally upon the presiding officer, secretary or treasurer of the voluntary association. The process shall be served by any officer to whom the process is directed upon the Secretary of the State by leaving with, or at the office of, the secretary of the state, at least twelve days before the return day of the process, a true and attested copy thereof, and by sending to the defendant at its last-known address by registered or certified mail, postage prepaid, a like true and attested copy with an endorsement thereon of the service upon the Secretary of the State. The officer serving the process upon the secretary of the state shall leave with the Secretary of the State, at the time of service, a fee of twenty-five dollars, which fee shall be taxed in favor of the plaintiff in his costs if he prevails in the action. The Secretary of the State shall keep a record of each such process and the day and hour of service. When a party to an action under this subsection is employed by an employer with fifteen or more employees, by personal service upon an official of the employer designated as an agent to accept service of process in actions brought under this subsection. Every employer with fifteen or more employees doing business in this state shall designate an official to accept service of process for employees who are parties to such actions. The person so served shall promptly deliver such process to the employee. Service of process without state upon persons domiciled or subject to jurisdiction of courts in state. A person domiciled in or subject to the jurisdiction of the courts of this state or his executor or administrator, may be served with process without the state, in the same manner as service is made within the state, by any person authorized to make service by the laws of the state, territory, possession or country in which service is to be made or by any duly qualified attorney, solicitor, barrister or equivalent in such jurisdiction. owns, uses or possesses any real property situated within the state. Where personal jurisdiction is based solely upon this section, an appearance does not confer personal jurisdiction with respect to causes of action not arising from an act enumerated in this section. Any nonresident individual, or foreign partnership, or his or its executor or administrator, over whom a court may exercise personal jurisdiction, as provided in subsection (a), shall be deemed to have appointed the Secretary of the State as its attorney and to have agreed that any process in any civil action brought against the nonresident individual or foreign partnership, or his or its executor or administrator, may be served upon the Secretary of the State and shall have the same validity as if served upon the nonresident individual or foreign partnership personally. The process shall be served by the officer to whom the same is directed upon the secretary by leaving with or at the office of the secretary, at least twelve days before the return day of such process, a true and attested copy thereof, and by sending to the defendant at his last-known address, by registered or certified mail, postage prepaid, a like true and attested copy with an endorsement thereon of the service upon the secretary. The officer serving such process upon the secretary shall leave with the secretary, at the time of service, a fee of twenty-five dollars, which fee shall be taxed in favor of the plaintiff in his costs if he prevails in any such action. The Secretary of the State shall keep a record of each such process and the day and hour of service. Service upon nonresident attaching creditor. In any action brought to foreclose a mortgage or judgment, tax or mechanic’s lien, the attorney of record for any nonresident attaching creditor, nonresident judgment lienor or nonresident mortgagee who has commenced a foreclosure action on such mortgage shall be the agent for service of process upon the creditor in the foreclosure and further service shall not be required. Service of process shall be made by the officer to whom the process is directed upon the attorney by leaving with or at the office of the attorney, at least twelve days before the return day of the process, a true and attested copy thereof, and by sending to the defendant at his last-known address, by registered or certified mail, postage prepaid, a like true and attested copy, with an endorsement thereon of the service upon the attorney. Service of process outside country to be in accordance with treaty or convention or court order. Notwithstanding any provision of the general statutes relating to service of process, civil process shall not be served outside of the United States of America in violation of any applicable treaty or convention, including without limitation, the Hague Convention on Service of Process Abroad. If service of process cannot be made under the applicable treaty or convention within sixty days, the Superior Court may, upon application, order service of process upon such terms as the court deems reasonably calculated to give the defendant actual notice of the proceedings in sufficient time to enable the defendant to defend. No appointment of a nonresident of this state as an executor, administrator, conservator, guardian or trustee may take effect until the person so appointed has filed in the court of probate making the appointment a certificate, acknowledged before an officer authorized to take acknowledgments of deeds, appointing the judge of the court of probate and the judge’s successors in office to be his attorney upon whom all process in any action or proceeding described in section 52-61 and in any garnishment of the estate in the possession of the executor, administrator, conservator, guardian or trustee may be served. Such person shall agree in the certificate that any such process which is served on the judge of probate shall be of the same force and validity as if served on himself, subject to the applicable provisions of sections 52-87 and 52-88, and that the appointment of the judge of probate to be his attorney shall continue in force as long as any liability remains outstanding against him as a fiduciary and as long as he has any estate in his possession as a fiduciary. Copies of the certificate of appointment, certified by the judge or the clerk of the court of probate, shall be sufficient evidence of appointment and agreement. Service upon the judge of probate as attorney for the nonresident fiduciary shall be sufficient service upon the nonresident fiduciary, and shall be made by leaving an attested copy of the process with such judge of probate, who shall forthwith give notice thereof to such executor, administrator, conservator, guardian or trustee. The judge of probate shall keep a record of all process served upon him which shall show the day and hour when service was made. Process in civil actions against a nonresident executor, administrator, conservator, guardian or trustee, in his representative capacity, or in his individual capacity in any action founded upon or arising from his acts or omissions as such executor, administrator, conservator, guardian or trustee, may be served by leaving a true and attested copy thereof with the judge of probate in the district where the estate is in settlement; and such judge shall forthwith give notice thereof to such executor, administrator, conservator, guardian or trustee. Any nonresident of this state who causes a motor vehicle to be used or operated upon any public highway or elsewhere in this state shall be deemed to have appointed the Commissioner of Motor Vehicles as his attorney and to have agreed that any process in any civil action brought against him on account of any claim for damages resulting from the alleged negligence of the nonresident or his agent or servant in the use or operation of any motor vehicle upon any public highway or elsewhere in this state may be served upon the commissioner and shall have the same validity as if served upon the nonresident personally. The death of such a nonresident, whether before or after the commencement of a civil action, shall not operate to revoke the appointment by the nonresident of the Commissioner of Motor Vehicles as his attorney for service of process. If the process is served upon the Commissioner of Motor Vehicles and a true and attested copy thereof is sent to the administrator, executor or other legal representative of the deceased nonresident in accordance with the provisions of this section, the service shall have the same validity as if made upon the administrator, executor or legal representative personally. Process in such a civil action against a nonresident shall be served by the officer to whom the process is directed upon the Commissioner of Motor Vehicles by leaving with or at the office of the commissioner, at least twelve days before the return day of the process, a true and attested copy thereof, and by sending to the defendant or his administrator, executor or other legal representative, by registered or certified mail, postage prepaid, a like true and attested copy, with an endorsement thereon of the service upon the commissioner, addressed to the defendant or representative at his last-known address. The officer serving the process upon the Commissioner of Motor Vehicles shall leave with the commissioner, at the time of service, a fee of five dollars, which fee shall be taxed in favor of the plaintiff in his costs if he prevails in the action. The Commissioner of Motor Vehicles shall keep a record of each such process and the day and hour of service. For the purposes of this section, the term “nonresident” includes a person who is a resident of this state at the time a cause of action arises and who subsequently moves to another jurisdiction. Any operator or owner of a motor vehicle at the time of issuance of his license or registration shall be deemed to have appointed the Commissioner of Motor Vehicles as his attorney and to have agreed that any process in any civil action against him on account of any claim for damages resulting from his alleged negligence or the alleged negligence of his servant or agent in the operation of any motor vehicle in this state may be served upon the commissioner as provided in this section and shall have the same validity as if served upon the owner or operator personally, even though the person sought to be served has left the state prior to commencement of the action or his present whereabouts is unknown. Service of civil process may be made on a motor vehicle operator licensed under the provisions of chapter 246 by leaving a true and attested copy of the writ, summons and complaint at the office of the Commissioner of Motor Vehicles at least twelve days before the return day and by sending such a true and attested copy at least twelve days before the return day, by registered or certified mail, postage prepaid and return receipt requested, to the defendant at his last address on file in the Department of Motor Vehicles if (1) it is impossible to make service of process at the operator’s last address on file in the Department of Motor Vehicles, and (2) the operator has caused injury to the person or property of another. Service of civil process may be made on the owner of a motor vehicle registered under the provisions of chapter 246 by leaving a true and attested copy of the writ, summons and complaint at the office of the Commissioner of Motor Vehicles at least twelve days before the return day and by sending such a true and attested copy at least twelve days before the return day, by registered or certified mail, postage prepaid and return receipt requested, to the defendant at his last address on file in the Department of Motor Vehicles if (1) it is impossible to make service of process at the owner’s last address on file in the Department of Motor Vehicles, (2) the owner has loaned or permitted his motor vehicle to be driven by another, and (3) the motor vehicle has caused injury to the person or property of another. If service of process is made at the office of the Commissioner of Motor Vehicles pursuant to subsection (b) or subsection© of this section, the officer making such service shall certify on the process that he has made a diligent effort to obtain service at the address of the owner or operator on file in the Department of Motor Vehicles and has been unable to make such service. Service of process pursuant to this section shall be sufficient to confer jurisdiction of any such action upon the court to which the process is returnable. The court may proceed to determine the issues in the action and render final judgment but the court may, in its discretion, require further order of notice to the operator or owner. The officer serving such process upon the Commissioner of Motor Vehicles shall leave with the commissioner, at the time of service, a fee of five dollars, which fee shall be taxed in favor of the plaintiff in his costs if he prevails in the action. The Commissioner of Motor Vehicles shall keep a record of each such process and the day and hour of service. Subpoenas for witnesses shall be signed by the clerk of the court or a commissioner of the Superior Court and shall be served by an officer, indifferent person or, in any criminal case in which a defendant is represented by a public defender or special public defender, by an investigator of the Division of Public Defender Services. The subpoena shall be served not less than eighteen hours prior to the time designated for the person summoned to appear, unless the court orders otherwise. Any subpoena summoning a police officer as a witness may be served upon the chief of police or any person designated by the chief of police at the appropriate police station who shall act as the agent of the police officer named in the subpoena. Service upon the agent shall be deemed to be service upon the police officer. Any subpoena summoning a correctional officer as a witness may be served upon a person designated by the Commissioner of Correction at the correctional facility where the correctional officer is assigned who shall act as the agent of the correctional officer named in the subpoena. Service upon the agent shall be deemed to be service upon the correctional officer. If any person summoned by the state, or by the Attorney General or an assistant attorney general, or by any public defender or assistant public defender acting in his official capacity, by a subpoena containing the statement as provided in subsection (d), or if any other person upon whom a subpoena is served to appear and testify in a cause pending before any court and to whom one day’s attendance and fees for traveling to court have been tendered, fails to appear and testify, without reasonable excuse, he shall be fined not more than twenty-five dollars and pay all damages to the party aggrieved; and the court or judge, on proof of the service of a subpoena containing the statement as provided in subsection (d), or on proof of the service of a subpoena and the tender of such fees, may issue a capias directed to some proper officer to arrest the witness and bring him before the court to testify. The form of a subpoena may be as follows: To A. B. and C. D. of …. : By authority of the state of Connecticut, you are hereby commanded to appear before the …. court, to be held at …. on the …. day of …. or to such day thereafter and within sixty days hereof on which the action is legally to be tried, to testify what you know in a certain civil action pending in the court, between E. F. of H., plaintiff, and G. A. of M., defendant. Hereof fail not, under penalty of the law. To any proper officer or indifferent person to serve and return. Dated at H., etc. J. K., (title of officer authorized to sign subpoena). You should contact an Connecticut Process Server if you have specific questions about Process Serving in Connecticut. making service shall note in his return the address at which such attested copy was left. You should contact us if you have specific questions about Process Serving in Connecticut.